With the new Layered Image Editor Plugin for DAZ Studio, it’s finally time you took out and dusted off those characters you haven’t used in ages! With the plugin’s layering capabilities you will be able to breathe new life into your characters as well as add tons of fun to your rendering experience. With that in mind, L.I.E. 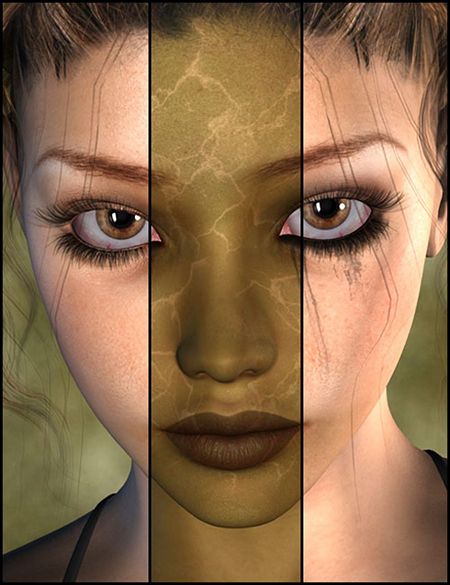 Makeup Layers comes with everything you need to begin playing with this fun and innovative plugin from png files to change any characters makeups, to masks for the plugin which create amazing effects, to a Tutorial which will guide you step by step along the way. Over 1000 Makeup Combinations Possible! DAZ Studio only. Not compatible with Poser.